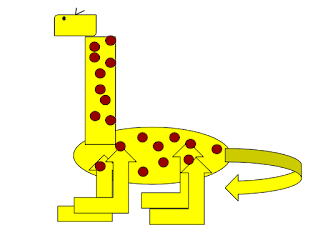 After we had finished our Diving Giraffe story, our challenge was to create a picture of the giraffe using Google Drawing. I used shapes to create my giraffe. Guess how many shapes I used?